The words “sustainable” and “responsible” have become buzzwords in tourism in recent years, right up there with “eco-friendly” as the newest thing to strive for for many tour companies and travel businesses. But sustainable tourism. What is it, really? And why should the average tourist like you or I care about it? When buzzwords like these come up, it's a natural reaction, I think, to tune out. To assume that glazed-eye look and let your mind wander a bit because clearly these sorts of things are for executives and experts to worry about, right? Well, you'd actually be wrong. Sure, tourism boards and tour companies can pledge to more sustainable practices in their businesses. But until we as tourists care about sustainability and responsible travel, the efforts of those executives and experts will only go so far. 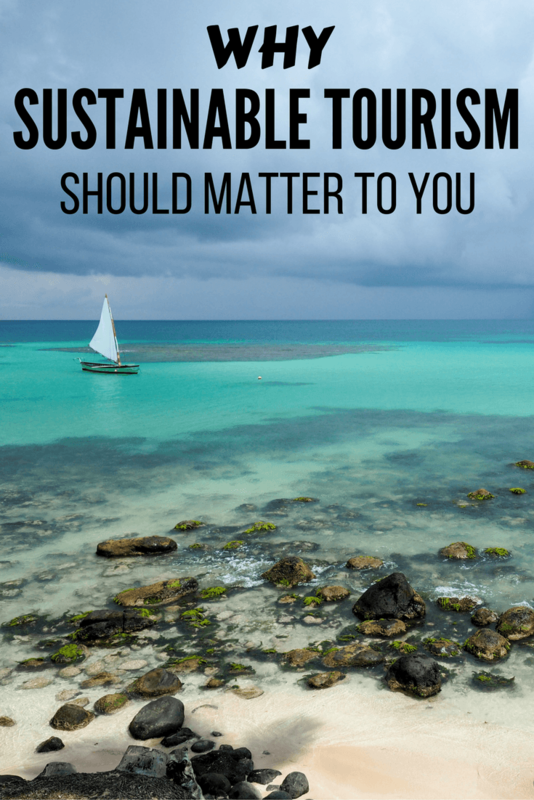 Before I can answer the question of why sustainable tourism should matter to you, though, I first need to explain what “sustainable tourism” actually means. To most people, “sustainable” is synonymous with “eco-friendly.” They think of geothermal-powered hotels, conservation efforts, and companies concerned with their carbon footprints. And it’s true that being environmentally-conscious is a big part of being sustainable. But it’s not the only thing to consider. An attraction or destination can be as “green” as green can be, and still not be sustainable. The environment is obviously important to tourism – without the place, tourism would not exist. Both the natural environment (such as beaches, forests, and waterways) and the built environment (such as historic buildings and ruins) must be preserved for an area to be environmentally sustainable. One way to support environmental sustainability is to create national parks and conservation areas in order to protect natural resources. Environmental sustainability means making sure resources in an area (whatever they may be) can be preserved for use by future generations of both locals and tourists. And it’s much more than just reusing towels in a hotel and calling it being “green.” It means being aware of the impact that lots of visitors can have on a destination and finding ways to make that impact as positive as possible. When an area starts being visited by tourists, there are bound to be some social and cultural impacts of those tourists on the host community. Locals may see increased congestion and overcrowding in towns and cities, the introduction of new languages and values, and perhaps even an influx of migrant workers to be employed in the tourist industry. Some destinations may even see an increase in instances of petty crime. Socio-cultural sustainability, then, means minimizing these negative impacts and focusing on more positive ones, such as promoting cultural exchange and preserving local traditions. This can usually be achieved by getting the locals involved in the tourism industry. This could be as simple as encouraging the sharing of interesting local customs (like artwork or dancing), or as involved as making it easier for locals to start or own new businesses to serve tourists. In Botswana, locals pilot mokoros through the Okavango Delta. Having the community involved will not only offer visitors a more genuine experience, but the locals will be more likely to see tourism in a positive light because they will feel a sense of ownership and pride in it. The last pillar of sustainability revolves around perhaps the most important part: the money. Many people don’t take into account economics when thinking about sustainability, but it’s really the key to making a tourism venture sustainable. In not-so-interesting technical terms, economic sustainability means building linkages and reducing leakages. In simpler terms, this essentially means keeping the money local. A hotel or company owned and operated by a foreigner or huge international brand is not likely to contribute much to the local economy – the money will likely “leak” overseas instead. This is not sustainable in the long run because it means the destination will not see any of those tourism dollars, and may begin to question the tourism industry altogether. Shopping at a local market rather than a chain store is another example of economic sustainability. Not only should the community be involved in tourism, but they should also all share in the financial benefits gleaned from it in order to encourage them to care about the other pillars just as much. Why does sustainable tourism matter? So why does all of this matter? Clearly tourism has survived up until now without such a huge discussion about sustainable, responsible travel. But here's the thing we have to remember: it's only in the last couple of decades that tourism has truly exploded. More people around the world have disposable income and an interest in travel today than ever before. This is putting a strain on the tourism industry as a whole – and especially on the most popular destinations. For this reason, sustainable tourism is incredibly important right now. I remember the first time I saw Angkor Wat in Cambodia. I was so incredibly excited to see those iconic towers and lily-littered moat. It's a UNESCO World Heritage Site, after all, and one of the largest religious monuments in the world. But as soon as I arrived, I knew immediately that something was wrong. First, I was paying $40 for a 3-day pass to all the Angkor temples in a country where many people don't even make that much income in a month. (I later learned that the company that manages Angkor isn't even based in the country.) Second, the site was incredibly crowded with both tourists in short shorts and hawkers selling cheap souvenirs. I didn't feel like I was at a temple, and I certainly didn't feel good about spending my money there. 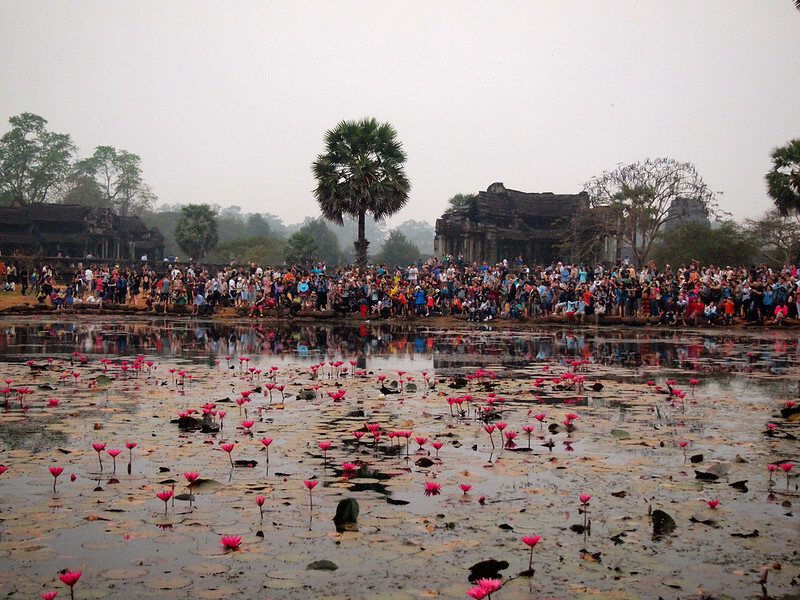 Sunrise at Angkor Wat is an uncomfortably crowded affair. I've written about my thoughts on Cambodia before, but basically what I saw at Angkor Wat was unsustainable tourism personified. Tourism where making money is the prime objective and the preservation of the site is secondary. Tourism where visitors aren't interacting with locals in any meaningful way and where the locals aren't benefitting a whole lot financially. I've said it before, but I'll say it again: I'm scared to see what Angkor Wat will look like 20 years from now. Because that's the thing about sustainable tourism and why we really should care: sustainable tourism helps preserve sites like Angkor Wat for future generations. If we only think short-term (i.e. just about our own travels), who knows how much longer some of these historical, cultural, and natural sites will be around. So now that you have a better grasp of what sustainable tourism is and why it matters, how can you ensure that you're traveling responsibly? Which one employs local people? Which one contributes the most to the local economy? Which one is more sensitive to its impacts on the host community? Which one is better for the environment? We want to keep our oceans this clear and clean, right? Companies the promote “local” tours but only employ non-local guides – Remember those “leakages” we talked about, and how important it is for locals to get involved in tourism in order to feel ownership in it? Companies who hire exclusively non-local guides or drivers are not really sustainable since much of the money tourists spend with them is not staying in the destination. Attractions that exploit people or animals – Don't engage in orphanage tourism. Don't ride elephants. Don't go to tiger temples. Basically, don't participate in tourism that forces people or animals to perform demeaning or painful tasks just for the sake of entertaining you. 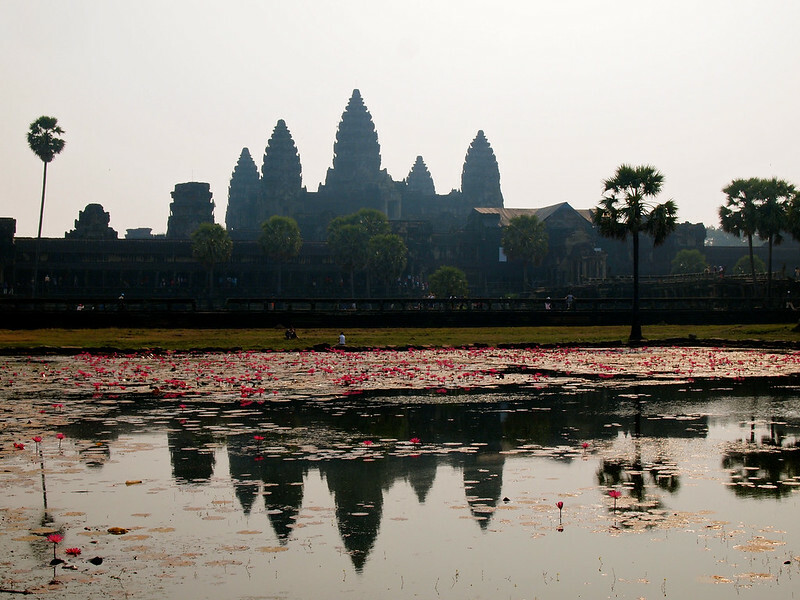 Places that are over-touristed instead of preserved – Angkor Wat, for example, is not really being properly maintained or preserved, and the main temples can be way too crowded. I'm not saying you shouldn't go to places like this – just do your research and see if there are any alternatives you can visit instead, or perhaps a less crowded time of year to go. Companies that promote “eco-friendly” travel but can't back it up – “Greenwashing” is a big problem in tourism. If a company is truly dedicated to being environmentally-friendly, you should be able to tell by their actions and initiatives. Look for companies that offset their carbon footprint, participate in recycling, support reforestation, and legitimately take steps to ensure that they are leaving a positive footprint on the environment. In the end, it's up to US as travelers to do a better job of supporting sustainable tourism (demanding it, even) so that we can ensure better tourism for the future. *This post was brought to you in partnership with the , who also produced the above video. What do you think? Do you consider any of these things when you choose a destination or book a trip? Where ever I go on holiday, whether it’s the next county or the next country, I always book local accommodation and shop or eat locally. I hate the promotion of ‘all-inclusive’ holidays – they just put nothing back in to the area. It’s completely the wrong sort of tourism. Sustainable tourism is really important to me. I love the world and want to see it stay clean and safe for as long as possible. I appreciate a company more when I know they are making efforts to preserve the place they represent. I will be much more likely to recommend a company to others if I see that they are making efforts for sustainable tourism. But if I notice a company contributing to the destruction of a place then there is no way I would ever recommend that company to others. It just makes more sense for companies to focus on sustainable tourism and giving back to the community, as far as I think. I totally agree! I obviously knew that Angkor Wat is visited by loads and loads of people, but I didn’t realise it was that bad, and I certainly didn’t realise that the money wasn’t even going back into Cambodia! Especially when such a huge proportion of Cambodians have never seen their national treasure, compared to all the thousands of tourists who flock there every day. Which is such a shame, because I do still massively want to visit it as an important historical and religious site, but it feels wrong sometimes, visiting places in those circumstances – I much prefer visiting & staying places that support local economy & culture. Also, you get a much better experience! Yeah, Angkor Wat makes me a bit sad. I think it’s still worth visiting, but only if you’re aware of everything going on there. Wonderful article! I’ll admit I never really put much effort into sustainable travel despite caring about it, but I guess that’s because I didn’t really know how to go about it. Your list of questions to ask yourself is perfect, I’m gonna read that every time I travel from now on! So glad that you found this post helpful! As someone who studied conservation biology (and a bit about sustainable development), I can totally get behind this. Thanks for drawing attention to this issue, because travel often can boil down to selfish wants (I want to see this, I want to do that there…) with less consideration for what our long term impacts may be! It’s a tough thing to preach about, because obviously most people are still going to go to the places they want to see and do the things they want to do. But I think simply educating people on the things that really aren’t positive (like riding elephants, for example) is the best first step we can take! I agree, first things first. It’s hard to balance urgency and what’s realistic. The perspective of the locals is also super important and I’m glad you emphasize that. Although the locals could make money quickly such as selling the cheap souvenirs at Angkor Wat, they would also probably prefer more sustainable income in the long term. A big part of it comes down to educating the locals, too. If you can show them that sustainable tourism will make more money in the long run, maybe less of them would be hawking cheap souvenirs for quick cash. I enjoyed reading your article and I completely agree with you. Traveling responsibly and always doing my best to support local businesses when I can, is really important to me. I find that traveling with this focus in mind, lends itself to more unique and authentic experiences. I love eating at local restaurants, staying in charming B&Bs and hostels off the main tourist path, and supporting travel agencies that employ local guides. Thank you for promoting sustainable tourism! Thanks for the comment, Brittany! And I agree – traveling with sustainability in mind definitely can lead to different experiences. Great points … we need to stop trampling over these places, and start supporting those that work in the community. Definitely! We need to remember that these places aren’t just around for our enjoyment – people live and work there, and ideally we want them to continue to do so (and for people to continue visiting) for many years to come. amanda, the same is going on in iceland. this is a great article. all of this is what i was referring to in iceland as i saw it when on holiday there this spring. i also question my travel plans and wonder how i am affecting the carbon footprint when i am taking cruises and visiting tourist destinations such as an upcoming trip to italy. venice in particular is under seige right now. wondering how i can reconcile my wanting to experience it along side what my being there is actually doing to help sustain it. When you really start to think about it, travel doesn’t seem so simple anymore, does it? 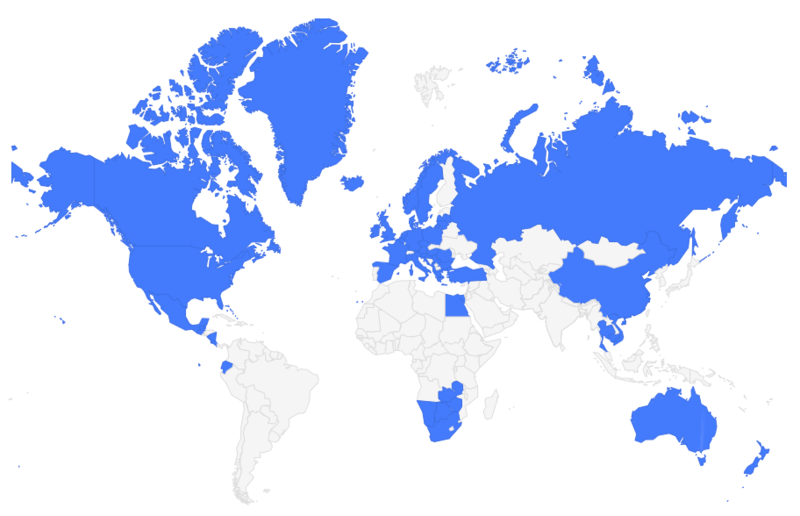 I don’t think we necessarily need to stop visiting popular destinations. I think it’s really all about being aware of our impacts and doing our best to make sure we leave positive ones instead of negative ones. indeed. i will definitely be more cognizant of who owns the hotels i stay at for one thing. the one we used in keflavik had recently been bought by some eastern europeans…imported their own staff. not such a good thing for the local economy there, was it? we are so new at travelling even at our older age. i was very much aware of the beauty in alaska but constantly worried if i was adding to the problem of destroying the glaciers just by being there on a cruise ship. i want to go back, but hesitate to do so because of the damage being done. Thank you so much for your wonderful post ! It is such a shame to read that about Angkor Wat.. The environment need to be taken really seriously in the future years. And it will be thanks to people like you posting that kind of article, in order to sensibilise people and make them understand why sustainable turism should matter for us ! Thank you so much for this great article ! We’re definitely at a very critical time right now. But I agree – educating people about why sustainable tourism is important is the first step! Your list of questions is very important. I get worried about the environment and I never thought about it in travel. Now I’ll think about it from now on. Thank you for the list! More people do need to know about how to travel sustainably. And you’re absolutely spot on about supporting what’s local. Tourism should be good for the local community in every way. Absolutely! I’ll be writing more about tips for traveling more sustainably soon – I think it’s a topic that bears repeating. You should look at the amazing record of Turtle Island Fiji in sustainable tourism. It has been at the forefront for nearly 40 years. This is a very complete and inspiring introduction to sustainable tourism. It gives the reader a quick overview of the issue and challenges with examples that speak to the standard backpack traveler like myself. It encourages me to push further my interest in the subject and to take action. Thanks, Henry! And I definitely do encourage you to some more research on your own!